Lighting is often an overlooked aspect of interiors — yet it’s one of the most important — playing a big part in the atmosphere, functionality and aesthetics of any room. Today we’re sharing the different lighting options you could use in your kitchen to inspire you to think beyond just downlights. Using 1, 2 or 3 pendant lights above the kitchen bench is a popular option — adding both ambient and task lighting in one. While some people may say 3 pendant lights above a kitchen island has been done to death, it’s a beautiful option that you can’t go wrong with. 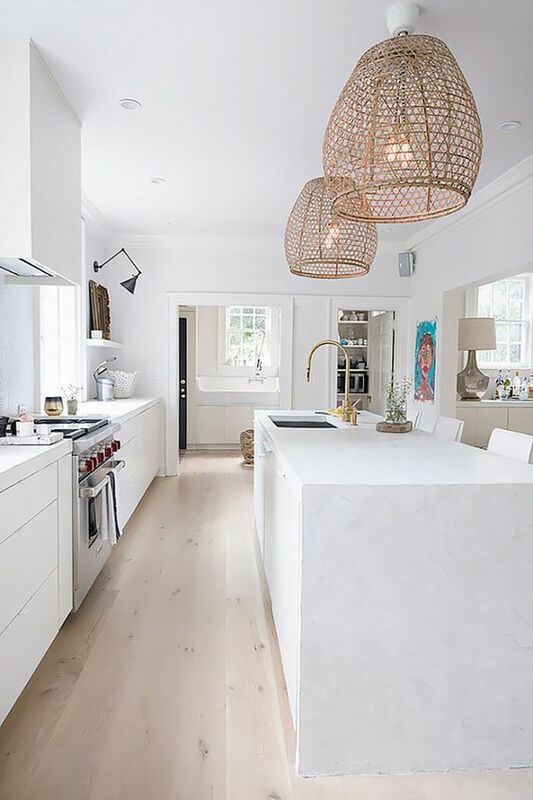 The use of just 2 pendant lights is gaining popularity though, especially when using oversized pendants like these beautiful rattan ones that suit a contemporary or coastal kitchen. For something more sleek and pared back, you could use a pendant made from a composite material. We love these geometric pendant lights from Crompton that we used above Bonnie’s new kitchen island (more of her kitchen reno coming soon!). 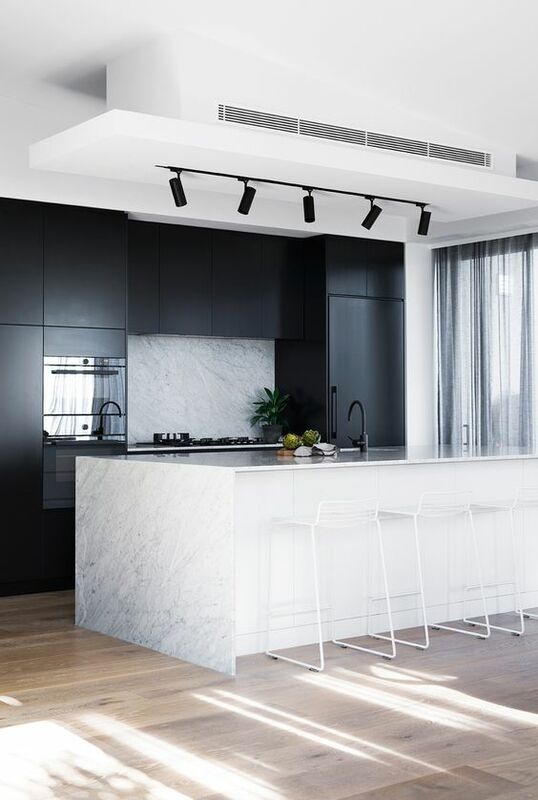 A lighting option that was often used in more commercial spaces but is now making a big appearance in contemporary residential kitchens is suspended lighting, like suspended track lights or extrusion lights. What we love about these lights is that they are ultra minimal and give an architectural look. They offer excellent direct lighting and are usually positioned over an island bench. Another emerging trend is fixed track lighting where spot lights are attached to the ceiling along a track. Some systems allow you to position the lights wherever you want along the track and for these, don’t feel you need to space them out evenly as it often looks best when the placement appears somewhat random. These lights are very functional as you can adjust the beam angle to suit your lighting needs, lighting both the kitchen and possibly another feature in the space, such as artwork on the walls. 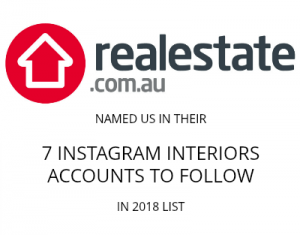 The use of LED strip lights went a bit bonkers for a while there — it seemed like there was a competition to see how many you could incorporate into one kitchen! — but now people are using them in a more restrained, elegant and practical way. We don’t recommend running LED strip lighting below low kitchen cupboards (i.e. above the kicks) as this will only highlight how dirty your floors are — no thank you! Instead, consider running LED strip lighting above your kitchen splashback for ambient light at night like we did in Bonnie’s new kitchen. Another lighting option that’s often overlooked is to install lights within cupboards and drawers. 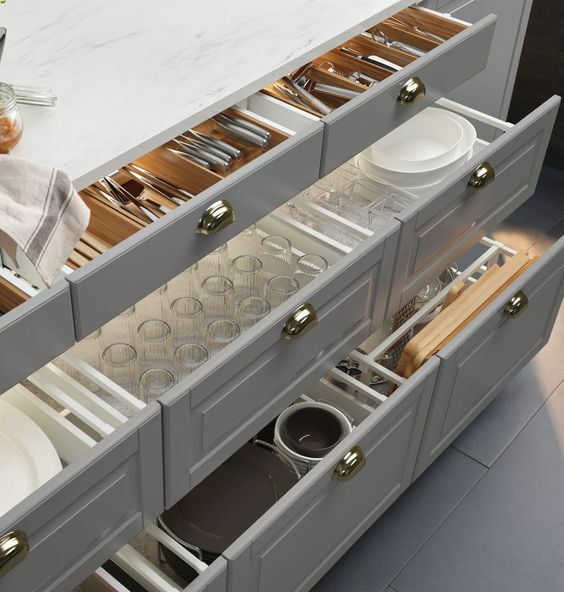 While the trend for glass cupboards with backlighting seems to have well and truly passed, you can’t look past the functional aspect of having small lights installed in cupboards or drawers so you can find what you’re searching for with ease! Your most common kitchen lighting option would have to be downlights — they’re inexpensive and provide good general lighting over a large area. 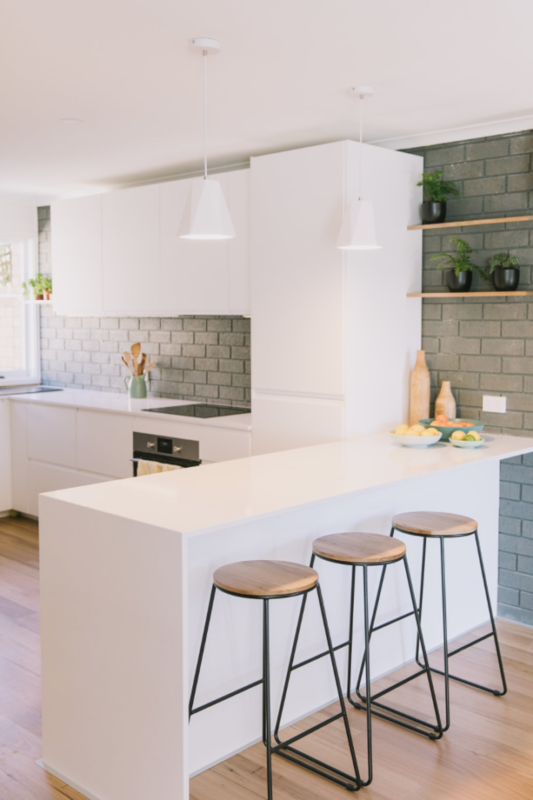 While there’s nothing wrong with having downlights in your kitchen, in fact many people would say it’s a requirement, the aim of this article is to promote other lighting options as well so you can create a kitchen lighting plan that offers task, ambient and accent lighting — bringing depth and interest to your kitchen. If you decide to use downlights, consider using matte white rather than chrome and a flush profile so they blend into the ceiling. Also, use warm globes rather than cool so they don’t give off a clinical feel. 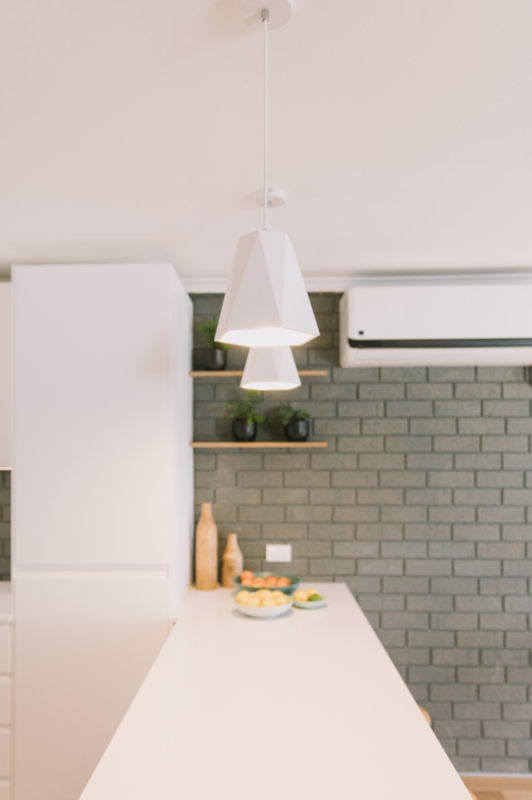 Whichever lighting options you decide on, it’s always a good idea to have independent switches for each light source, and dimmers so you can control the amount of light. 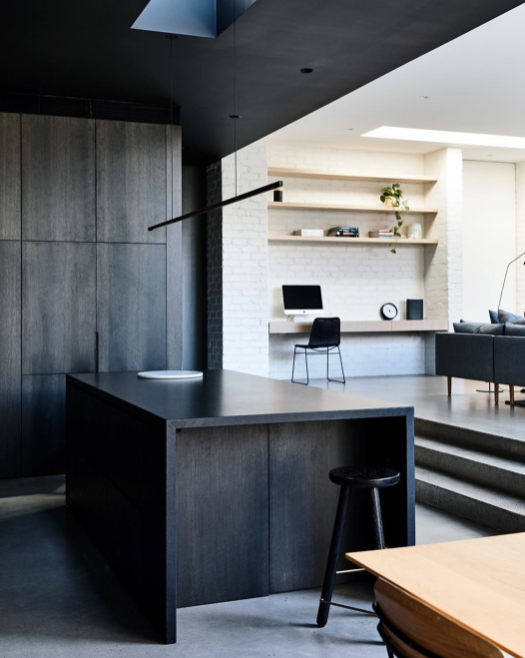 For even more lighting advice, check out our article ‘How to design a lighting plan for your home‘. We hope these kitchen lighting ideas have inspired you to use a variety of lighting options in your kitchen.